DSA ELECTRO CONTROLS PVT. LTD. was incorporated in the year 1996 by taking over a partnership firm DSA ELECTRO CONTROLS as an ongoing concern. The main promoter Mr. Ashok Subhedar, having completed engineering in Electrical, served M/s Larsen & Toubro Ltd in their Switchgear Design Department for a short while between 1982 - 1984, before venturing into Shipping Industry, Aqua Culture, Hospitality and allied activities. Since inception, the core value of DSA has been Quality in every aspect of business. May it be application engineering, product development, engineering services, manufacturing services and after sales service. Everything revolves around the watchword, Quality and has been extended to the World Class Manufacturing Set Up in a remote place, Wada - Thane District in Maharashtra, near Mumbai. The company received the First Prize Award from District Industries Centre, Thane in the year 2005, for maximum local employment, best set up, best financial performance and for abiding by all statutory regulations and paying all taxes ON TIME. The company also received First Prize from MCED, Maharashtra State and a Letter of Appreciation from the Commissioner Of Central Excise for being prompt and highest Tax Payer from the region. To add to accolades, the company received 1st prize from Siemens ( India ) Ltd as Best Vendor - Partner and proudly considered the Best Quality Vendor by Mazagon Dock Limited for the most prestigious project for Indian Navy. This year we have received IEEMA SME QUALITY CERTIFICATE 2009 from IEEMA for Strong Commitment Quality Systems in Medium Enterprises Category. The core philosophy has always been FOR THE BENEFIT OF MANKIND. The company encourages education, training for high skill jobs, continuous upgradation of resources, pursues Six Sigma practice, all this driven by the Top Management. Defining Quality Objectives, involve discussion with Core Team to take the company to the next level. Weekly meetings are conducted for production planning, Engineering Improvements, Process improvement. The Top Management attends monthly review meeting. A unique way of Corrective Action Request and Relentless Root Cause Analysis has today ensured near zero defects in end products. The best example has been Controllers for Number One Elevator Company in the world "OTIS" with zero defects over past 15 years with complete traceability upto operator level. The same is true for ABB where over 40,000 Remote Load Management Units were supplied and Siemens where Railway products demand 40 years virtual life guarantee. 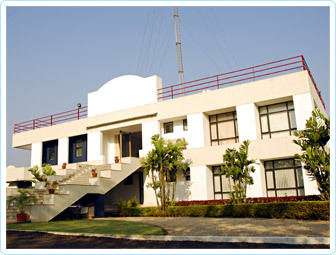 The company manufactured highest number of Power Control Centre's per month for L & T, with least quality issues. DSA believes in partnership with it's clients, suppliers, employees, labour union, consultants, training institutes, bankers, financial institutions and local villagers. Firmly believing in Best Ethical practices, the company has been retained by all its clients for many prestigious projects. One of the most crucial jobs for Mazagon Docks Ltd ( Indian Navy ) was first time in India, executed by DSA. Almost all clients have placed long term orders on the company extending over two to three years in advance. It is imperative to keep key members empowered to take decisions on the spot and all Team Members are today proud to be associated with DSA undertaking many prestigious projects including long term Defence Jobs for the Country. DSA strongly believes in systematic approach to any situation and it is evident through well laid processes and practices explained in the next pages. A record of 18440 RLM Units for ABB Ltd for their prestigious project from BESCOM - Karnataka in 100 days has created history. This was possible only due to system success. ONLINE training is a continuous phenomenon while each member undergoes a minimum of 20 hours of technical training and grooming each year so as to be upgraded. A daily morning meeting ensures sharing of happenings and weekly meeting for sharing new thoughts and problem solving techniques. Selected members also undergo, external training including overseas. One can find each Team Member buoyant with energy and charged to deliver World Class Products. The average age of DSA Team Members is 26 years. With a clear focus on customer satisfaction, DSA has evolved a system which has today resulted into being a GREEN CHANNEL partner with all its clients and no customer inspects end product. They come only for process audit. Being synonymous to Quality, DSA invests heavily in upgradation of its plant and machinery as well as training its Team Members with a long term goal to LEAD. A new initiative as enabled DSA to develop its own products for the elevator and power sector. DSA believes in inorganic growth through collaborations, Joint Ventures as well as strategic acquisitions in near future. A New Joint Venture Company is already in formation along with Prisma SpA, Italy for Automatic Doors for the Elevator Industry. DSA strongly believes in Investment in Workforce and through Human Resource Development activities it helps its members for career planning with the company. The attrition rate has always been below 3%. With a firm commitment to esteemed clients, for investment in new plant and machinery, expansions, more and more new projects are already coming to DSA. The Company is ISO 9001 - 2000 certified and also ISO 3834 - 2 certified for Welding Standards. The company is rated as SB-2 with State Bank Of India (Industrial Finance Branch) and SME-2 by CRISIL for past two consecutive years. DSA has a World Class factory spread over 15 acres of land and with construction of over one lakh square feet building at Wada, Thane District near Mumbai. A Corporate office at MIDC - Andheri (east), Mumbai, admeasuring 10000 square feet. 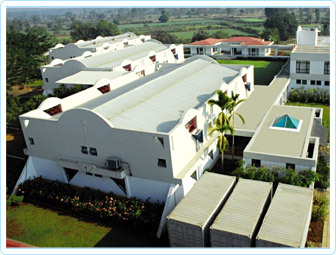 A new factory at Nashik admeasuring 26000 square feet. Proposed set up at Coimbatore on land admeasuring 18 Acres. DSA has already proved capability to deliver World Class Quality products and now has set eyes to reach Global scales of operation while remaining a Very Indian Company.